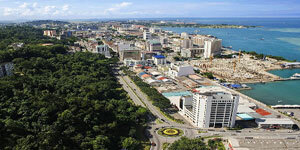 Kuantan is a town in the east coast of Peninsular Malaysia and is also the capital town for the state of Pahang. 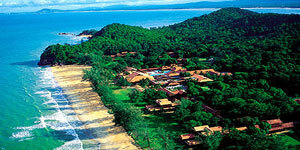 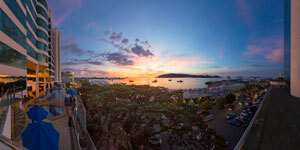 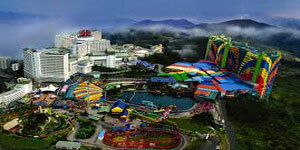 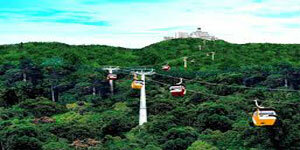 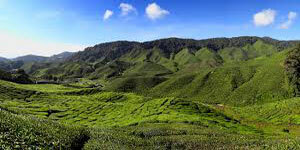 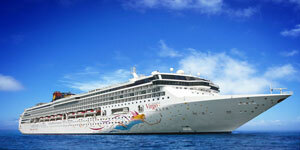 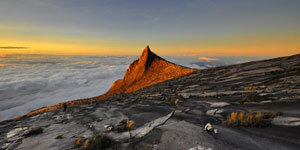 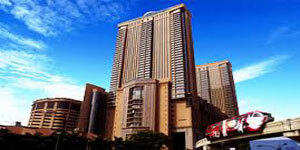 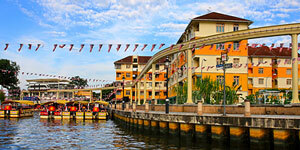 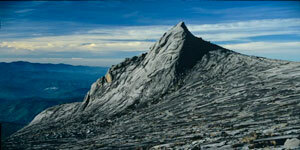 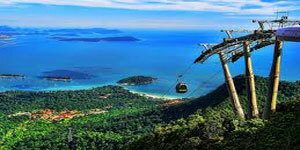 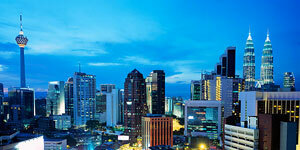 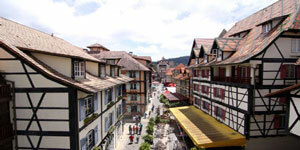 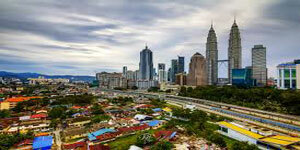 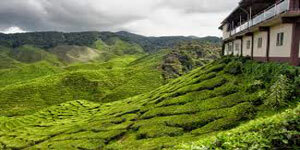 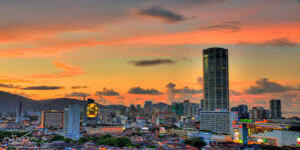 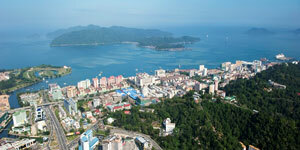 Kuantan is located about 250km away from Malaysia's capital city of Kuala Lumpur (KL). 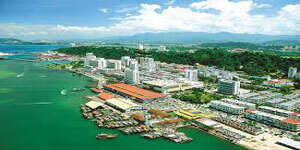 With over 600,000 people, Kuantan is the largest city on the East Coast of Peninsular Malaysia. 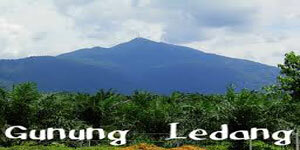 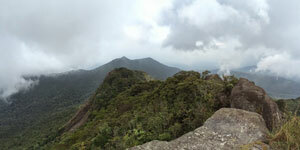 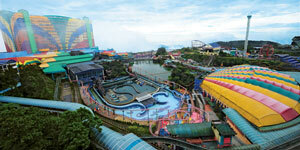 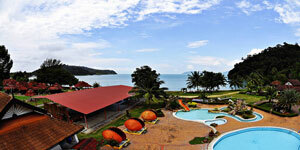 There are a number of places in and around Kuantan that are worth visiting. 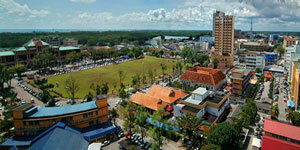 Kuantan's small Sultan Haji Ahmad Shah Airport (IATA: KUA) is about 15 km (9 mi) southwest of the city. 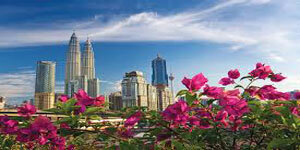 The airport currently serves a few daily flights from Kuala Lumpur-KLIA (40 mins) on Malaysia Airlines. 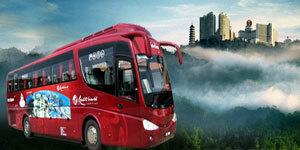 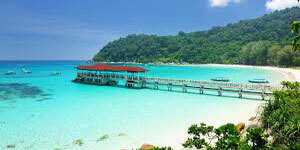 It also has service from Penang airport via Fireflyz. 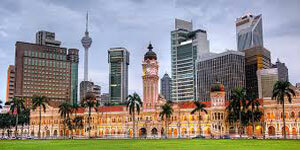 The airport also serves an international flight to Singapore by Firefly four times a week. 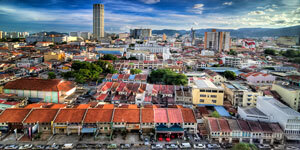 Kuantan's long distance (intercity) bus station is a new Integrated Bus station called Terminal Sentral Kuantan (TSK) replacing the old bus station (Terminal Makmur) which was no longer operational. 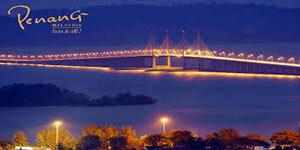 Located at Indera Mahkota (11 km from Kuantan), TSK new terminal is one of the main bus hub in the East coast connecting Kuantan to all the major cities in peninsular Malaysia. 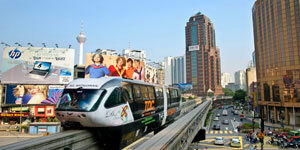 A Rapidkuantan (route 303) shuttles between the main city hub (Hentian Bandar) and TSK. 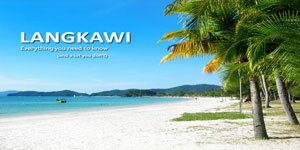 Teluk Cempedak, 5 km northeast of Kuantan, is a lovely beach with facilities for watersports, including boating and kayaking. 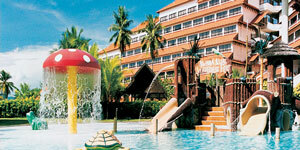 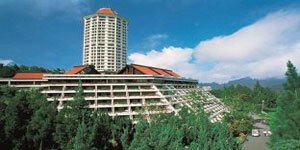 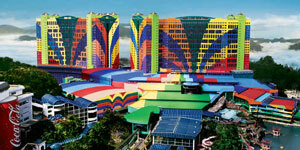 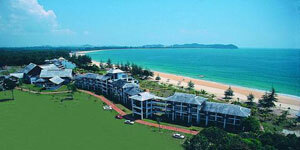 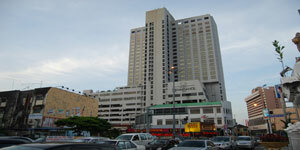 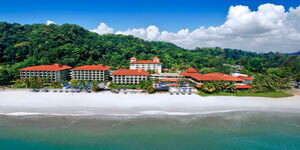 The Kuantan Hyatt Hotel is located on Teluk Cempedak itself. 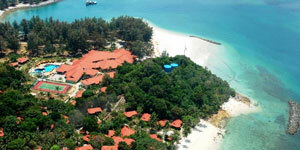 On the left side of Teluk Cempedak beach, there is a long metal boardwalk (built over rocks and boulders) that connects to Missionary Bay, a second beach. 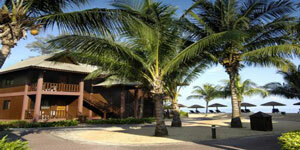 Small monkeys can often be seen around the beach area, although it is recommended that you not get too close to them. 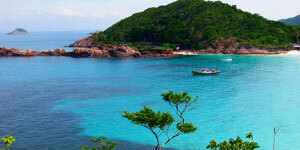 They can be aggressive, especially if you are carrying food! 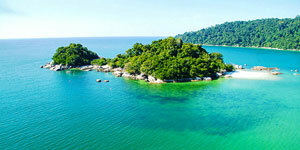 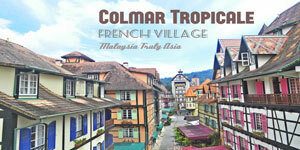 Beserah, around 7 km from Kuantan city, is a village that is famous for fresh fish every day! 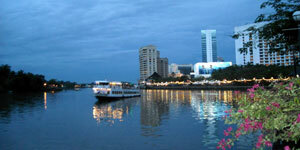 You can buy fresh fish at wholesale prices here. 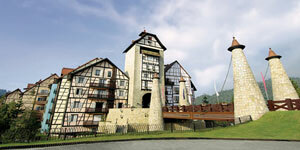 A well-known local product, salted fish, is also available for sale here. 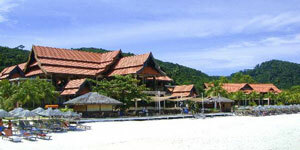 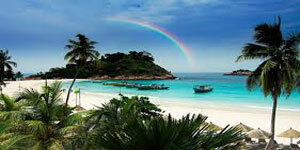 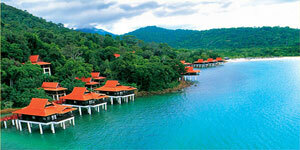 Balok, a beach that is famous for wind surfing, is located 13 km north of Kuantan. 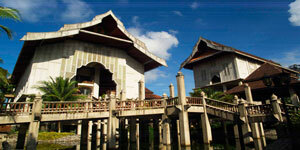 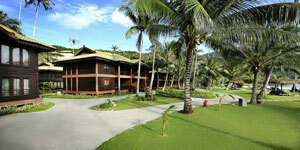 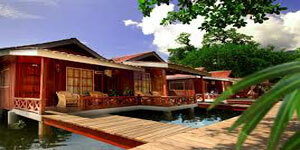 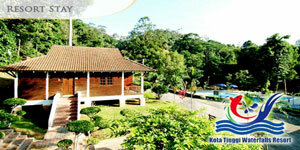 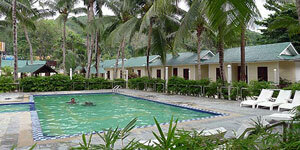 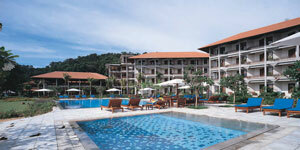 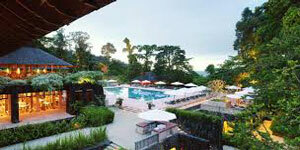 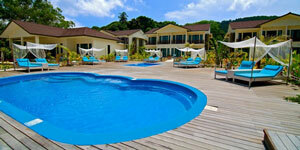 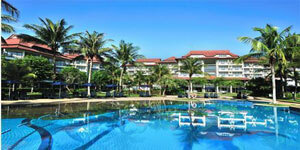 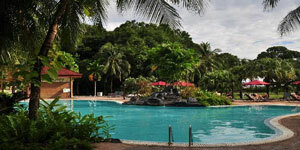 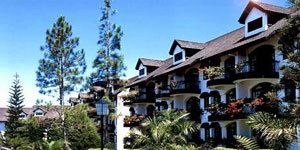 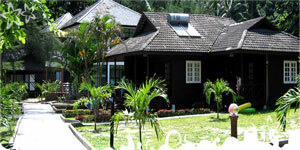 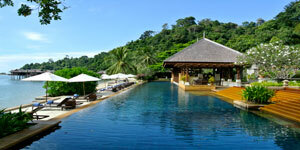 Swiss Garden Resort & Spa is located on Balok Beach. 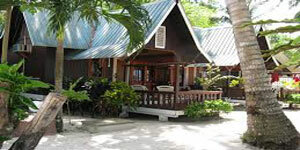 The resort delicately embraces traditional features with the incorporation of “anyaman” style décor in its fittings creating a unique atmosphere and perfect balance between luxury and homely familiarity. 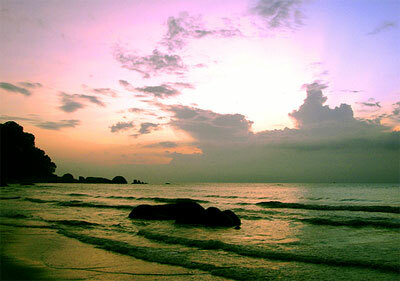 Pantai Batu Hitam (Black Stone Beach) is a special beach where all the stones are black or dark in colour.